After three wonderful days in Banff and Lake Louise we left Banff National Park behind. We decided to take a short detour to Lake Emerald in Yoho National Park before continuing our journey to Jasper along the famous Icefield’s Parkway. First things first: Almost all of the sights we visited were wheelchair-accessible. Furthermore, the viewing areas all have handicap parkings as well as wheelchair-accessible restrooms. There are also some wheelchair-friendly trails like the paved section of the Mary Schäffer Loop, Maligne Lake, Lake Annette Loop and Pyramid Isle in Pyramid Lake. Our first stop on our way to Jasper was Columbia Icefield, the largest ice field in the Rocky Mountains. The scenery of the glaciers is indeed breathtaking! The Columbia Icefield Glacier Discovery Center is the starting point for the Glacier Adventure, where a massive ice explorer takes you directly onto the ice field of Athabasca Glacier. The tour is wheelchair-accessible, however you have to call the Discovery Center in advance (Brewster +1 888 285 0376). The Athabasca Falls were our next destination. You can find a few more scenic viewpoints on the way to the famous falls. After our arrival I had to find out that unfortunately only the viewing area next to the parking was accessible because of some steps on the trail to the other side. Finally we moved further to Jasper taking Highway 93a instead of driving along the Trans-Canada Highway. The Highway 93a is much less frequented and you pass through an amazing landscape. The city of Jasper is small but still very wheelchair-accessible. We spent two days in Jasper and drove to Medicine Lake, Lake Maligne, Lake Edith and Lake Annette as well as Miette Hot Springs. Lake Maligne was still covered in ice in mid-May 2017. I guess the lake must be magnificently beautiful during summer time. I can recommend the trail around Lake Annette. It is a nice but short round-course around the lake. There are enough handicap parkings, two wheelchair-accessible restrooms as well as a great picnic area. Last but not least we were fortunate and saw a black bear with her cup while we were exploring Miette Road. Miette Road is known for regular bear sightings. Still, you can meet bears anywhere anytime when in Jasper National Park because it is home to Grizzly and black bears. Bears are so very cute mammals but nevertheless it is best for your own safety to avoid bear encounters. Always respect those majestic animals by keeping your distance. It was a true pleasure to peacefully observe these two bears from inside the car with all doors locked. Summing up I can clearly say that Jasper National Park is pretty wheelchair-accessible in most parts. Wheelchair users can equally enjoy the majority of the spectacular natural sights as well as major tourist attractions. 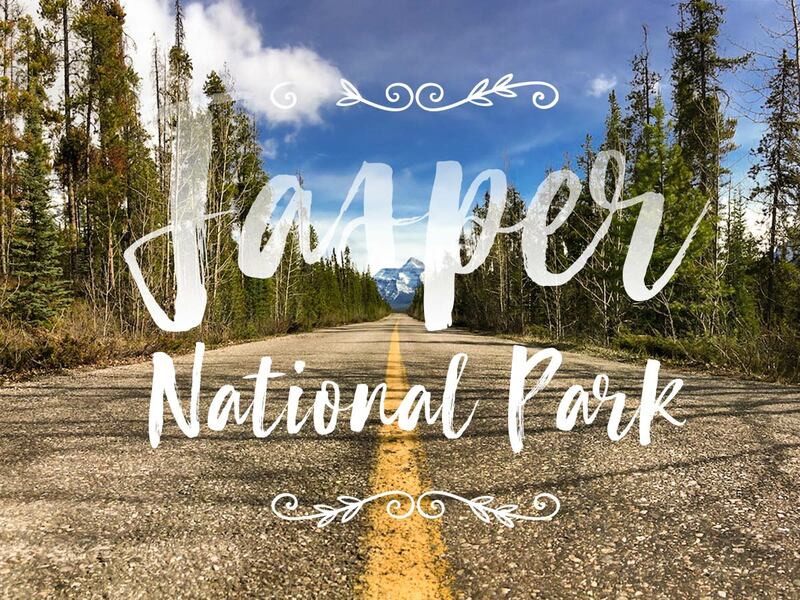 Have you already been to Banff or Jasper National Park? How did you like it? Tell me more about your thoughts in the comment section below or get in touch by email. I should be going to Banff soon and was debating if my Mom (she’s in a transport chair) wanted to go or not. Jaspar looks wonderful! I can’t believe you saw bears! Both, Banff and Jasper NP are incredibly beautiful! Your Mom should go ;-)! We were so very lucky to see the bears on our last day! I’d love to go to both some day, to see bears in the wild would be wonderful. It’s good to know that these places are becoming more accessible for wheelchair users. Hopefully it won’t be too long before all national parks have the same facilities. My daughter has been recovering from a knee injury all year and we’ve discovered how inaccessible some of the trails in New Zealand are. I’m glad you had a good time, a pity that not all the places were accessible though. Were you warned in advance that there were things like stairs or steep trails? First of all, the pictures are out of this world! I have been to Banff National Park but no idea why I didn’t extend my trip to Jasper National Park. Secondly, I am so glad to see that many of the places are wheel-chair friendly (although not all). I am happy you had a good time! I love that you got to see so many of the same sites as I did in Jasper. Many Canadian parks do a great job of ensuring a good deal of accessibility. And you do a great job of showing off one of the country’s best road trips! What unbelievably stunning scenery and photography! Looks like some areas had really good accessibility in the Parks while others have some work to do. Great resource! Une nature d’exception qui donne envie d’y aller que l’on soit sur 2 jambes ou en fauteuil car les canadiens n’ont oublié personne et tout un chacun peut profiter de la richesse de leurs paysages, de leur faune et flore. L’on peut rêver et même y aller✈️. Tes photos sont magnifiques, chapeau aussi au professionnel! I can’t believe you saw bears!! I would be so unbelievably excited! And it’s great there is a selection of viewpoints that can be reached in the chair, although it would be nice if they did some work on the trails to make them more accessible too. That top scene in Yoho NP is sensational. I can feel the cool water. Nice shot on the icefield road. You can feel the seclusion. Distressing to see how much it’s receded since 1925. Such a beautiful part of the world. I visited only once many decades ago and would really like to go back with my husband. I am very encouraged to read your thoughts on accessibility — I don’t use a wheelchair but have some mobility uses and am very appreciative of accessible attractions and facilities. In some places we’ve visited, the natural landscape is not readily visited from roads or accessible paths and I have missed out. I love the photo ofyou infront of the Columbia icefield but a shame that you couldn’t similarly get to visit the Athabasca Falls. Another great read! Thank you Melanie. The text flows so nicely and your photos are easy on the eyes. The information in your articles is unique and you’re doing a spectacular job! Et d’abord merci pour toutes ces images et informations. J’avais parouru ton blog et j’avais déjà apprécié sans laisser de messages (pas bien 🙂 )Nous partons dans 2 semaines à vancouver et nous allons passer dans ces différents parcs. Rosanne peut marcher mais pas très longtemps et ce sera notre 2ème grands voyages avec un fauteuil – nous sommes allé au Cambodge il y a 2 ans). J’ai lu aussi avec intérêt ton passage à Tokyo que nous voulons retourner visiter (ainsi que la corée) au printemps 2019. J’ai aussi vu tes informations pour l’af sud que nous avons beaucoup aimé (région de Knysna par exemple ainsi que le Cap mais en hivers local ce qui ne nous à pas permis de monter à Table Mountain).